Genesis Framework ™, by StudioPress, is a light weight and extremely fast framework for WordPress that uses child themes for its delivery. Let us set up your next website and provide you with a custom theme that’s uniquely yours. 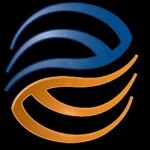 ExpressionEngine ™, By ElisLabs, is one of the most flexible content management systems available today. With its unique template system we can integrate any design you need and include a vast array of commercial elements into your website. CodeIgniter ™ is an open source PHP framework which allows total freedom to develop complex php applications. Have an old static website that ranks well? With CodeIgniter we can add WordPress ™ functionality without disturbing your current URL structure and preserve your current site ranking.